GB Boxing’s Cheavon Clarke (Gravesham ABC), is aiming to become a two-time national champion when the final stages of the England Boxing Elite National Championships 2017 get underway tomorrow (21-23 April 2017) at the Magna Centre in Rotherham. The 26-year-old heavyweight from Gravesham is defending the title he won in 2016 and aims to cap a successful year that has seen him earn selection for GB Boxing’s elite Podium squad based in Sheffield where he now trains full-time as a funded athlete. 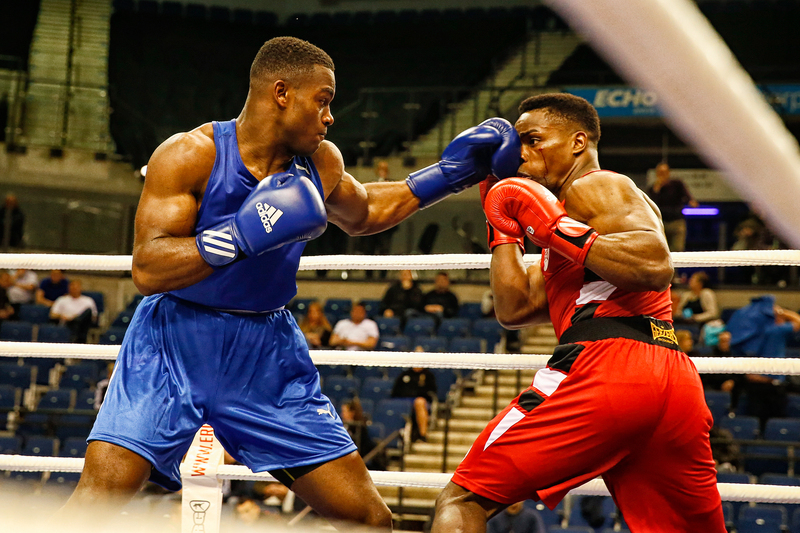 A second consecutive title would enhance Clarke’s chances of competing at next year’s Commonwealth Games in Australia, particularly as he is now the only heavyweight in GB Boxing’s Podium squad after Lawrence Okolie chose to turn professional after competing at Rio 2016. Clarke’s success, at the relatively late age of 26 having only taken up boxing aged 19, is also providing a boost for his club, Gravesham ABC and boxing in Kent. A list of all the male and female boxers that are due to take part in this weekend’s Elite National Championships is available here. 156 boxers are due to take part in the Championships this weekend which will see 19 boxers crowned Champion. The men’s competition will be held over 11 weight categories as a new Cruiserweight (86kg) category has been added for 2017. The women’s competition will be held over 8 weight classes. On Friday 21 April, the quarter-final bouts will be held from 1300 onwards with two rings in the Arena. The semi-finals will take place on Saturday from 1400. The finals on Sunday 23 April will start at 1400. Tickets are available on the door for all three days.